The Best Link Tracker and Ad Tracker Ever. Due to circumstances beyond our control, the aflw.pw domain has been seized by the registrar, Namecheap. This was done without warning or access to a resolution process. We’ve been doing business with Namecheap for 10 years, so their refusal to communicate or even take a phone call is very much a surprise. At this time, it does not appear that the aflw.pw domain will be reactivated any time soon, and all tracking links associated with that domain have stopped functioning. If you have aflw.pw tracking links that have stopped working, please contact our customer support to have those links migrated to a new domain. We’re adding support for the Spamhaus DBL blocklist when creating new tracking links. We’re hoping to reduce the number of complaints for spam and phishing by disallowing those sites with low reputation scores. You can read more about the Spamhaus DBL blocklist at https://www.spamhaus.org/dbl/, including the removal process for sites listed on the DBL. 2014 is coming to a close and I’m happy to report that our 3rd party monitoring service shows that we’ve achieved more than 99.9% uptime this year since January 1st! We use Pingdom.com for monitoring and alerts and they’ve done a great job. What happens when links expire? Last month we launched the Custom Domain Beta program and it was a huge success! Today I’m pleased to announce that we’ve added the Custom Domain feature and made it available to all of our Professional account holders at no additional charge. Yes – you read that last part correctly. We originally intended to charge extra for the awesome new feature, but decided to roll it into our increasingly popular Professional account. If you don’t have a Professional account yet, you can get one here. This entry was posted in News, Uncategorized, Uses on November 12, 2010 by admin. We’ve recently added a feature for managing web site preferences on the “My Account” page. The new preferences options will let you set the number of links and tracking records to display per page. If you have a Professional account, you can also set your preferred domain name so you don’t have to select it manually when making a new link. This entry was posted in Cool, News, Uncategorized on November 12, 2010 by admin. Today is Veterans Day. If you are a veteran, thank you. We’ve added a new report for referrer hosts, available to Professional level account holders. This report lists the top referrer hosts for your link, sorted by the most active referrers. It’s similar to the top 10 referrers report you’ll find on the charts page, but we’ve expanded it to include all traffic sources. Use the it to get an idea of which web sites are sending the most traffic. 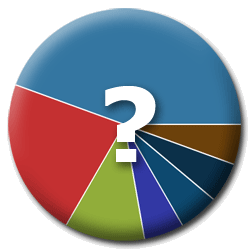 If you have questions about the referrer report, check out our post on referral tracking. This entry was posted in News, Uncategorized on November 5, 2010 by admin. Referral tracking is something Linktrack does really well, but we get a lot of questions about it. In this post, I’m going to try and answer the top 3 most frequently asked questions for referral tracking. 1. What is the referrer field? Any time you visit a web site (any web site) your browser passes a little bit of information about your request to the web site you’re visiting. This information includes things like your IP address, the browser you’re using, and your referrer information. 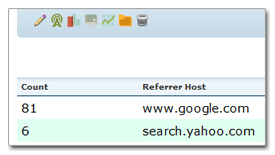 The referrer field contains information about the web site you just came from if it’s available. At Linktrack, we gobble up this data so you can view it and get an idea of where your traffic is coming from. 2. Why is the field blank sometimes? When you visit a web site, you don’t have to include referrer information in your request, and a lot of times you don’t have any information to include even if you wanted to! or the visitor is coming from a secured web page. 3. Why should I care about the referrer field? If you’re using Linktrack, you probably want to know everything there is to know about the people clicking your tracking links. One of the most valuable bits of information is where they came from! If you know that, then you can see which sources are sending you the most traffic and where you’re having the most success. You can use this information to narrow down your best referral sources, improve the efficiency of your marketing, etc. This entry was posted in Uncategorized on November 5, 2010 by admin. Our pricing philosophy is “unlimited everything” where you only pay for access to premium features. We don’t restrict you by number of links, how much you can track, etc. We offer an extremely versatile tool and give you the freedom to implement it however you choose. This entry was posted in Uncategorized on October 11, 2010 by admin.